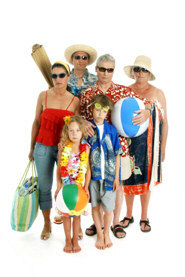 Simpson Millar LLP travel lawyers have been dealing with holiday compensation claims for over 30 years. Our staff specialise in pursuing illness claims against both Thomas Cook and First Choice. Have you suffered from diarrhoea, stomach cramps, headaches, flu-like symptoms and vomiting whilst staying at the Sunset Jamaica Grande Resort? Travellers returning from the Jamaica Grande ill have raised concerns about poor standards of hygiene at the hotel. Food is said to have been recycled and served at tepid temperatures and this is thought to have been the cause of illness amongst its guests. The 4 star Hotel is located on the beach and is offered for sale in the UK by both Thomas Cook and First Choice Holidays. If it transpires that this spate of holiday illness was due to food poisoning or negligence on the part of the Sunset Jamaica Grande Resort’s management then holidaymakers can expect to receive substantial compensation. If you need legal advice about suffering an accident or illness abroad then get in touch with your specialist Holiday Claims team on: 0808 145 1353 or visit our website about Holiday Claims for further information.